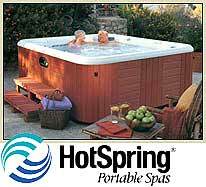 Hot Tubs Spa MN – Minneapolis Hot Tubs, Dealer Sells Energy Efficient Hot Tubs and Spas to Provide Consumers Long Term Savings and Peace of Mind. Hot Spring Spas Minneapolis, a new and used hot tub dealer with stores in Lake Elmo and Minnetonka, MN and Clive, Carroll and Arnolds Park in Iowa is supporting Energy Awareness Month by providing free hot tub spa test soaks in all their energy efficient Hot Spring Spas. 1 - Don't Be Blown Away - Drafts and poor insulation mean that cool air rushes in during the winter months, and rushes out during the summer. To take care of your windows in cold months, think about covering the inside of your window frames with a clear plastic film to keep the air out. Keep drapes and curtains open during the day and not at night. In the warm summer months, do just the opposite. Keep windows open at night and close them during the heat of the day. 2 - Get an Energy Efficient Washing Machine - There are a lot of washing machines on the market, so how do you know which is the most energy efficient? Simple--front loading washers conserve the most energy, usually using a quarter less energy overall. After selecting a washing machine, be aware of the hot water that you are using. To save energy and drive down costs without too much hassle, try doing warm to cold cycles instead of hot to cold cycles. 3 - Air Dry Your Clothes Whenever You Can – You heard right. Instead of running the dryer and consuming even more energy than you normally do, try air drying your clothes. Air drying your clothes takes no electrical energy and costs nothing to do. Set up a clothesline outside or hang the clothes in a closet. Even during cooler months, you can hang certain clothes in the closet to dry. 4 - Clean Your Filters Often - This goes for filters of any electrical device you have, particularly dryer filters, air conditioner filters and furnace filters. Doing this regularly, even as much as one time every month increases the flow of air, which means that it's more efficient, and that means you save money. Not only will you conserve energy by doing this, you will enjoy better health as a result of cleaning all that gunk out of your machines! 5 - Take Care of Your Hot Tub - A hot tub is beneficial to your health and lifestyle in a number of ways, but like any appliance in your home, can be run more efficiently if you have an energy efficient model. If you don't yet have a hot tub, when you purchase one look for one that has the ENERGY STAR label. Energy efficient hot tubs consume less energy in a number of ways, starting with an insulated construction design. Even accessories like the tub cover are insulated to keep energy consumption and energy costs down. We sell an exclusive line of Hot Spring Spas - The Energy Smart® Spa. Hot Spring Spas has certified all models to the California Energy Commission (CEC) so consumers can have peace of mind knowing that their spas are designed to keep operating costs low no matter where you live.